Several years ago, when I went to make my dairy-free, egg-less chocolate cake recipe, I discovered I was out of baking soda. (The recipe called for baking soda and red cider vinegar.) I looked online to find the substitution measurement of baking powder vs. baking soda so I could use what I had on hand in the kitchen: baking powder. On a cooking site (forgive me, I’m not sure which one it was), they recommend using 3 tsp. 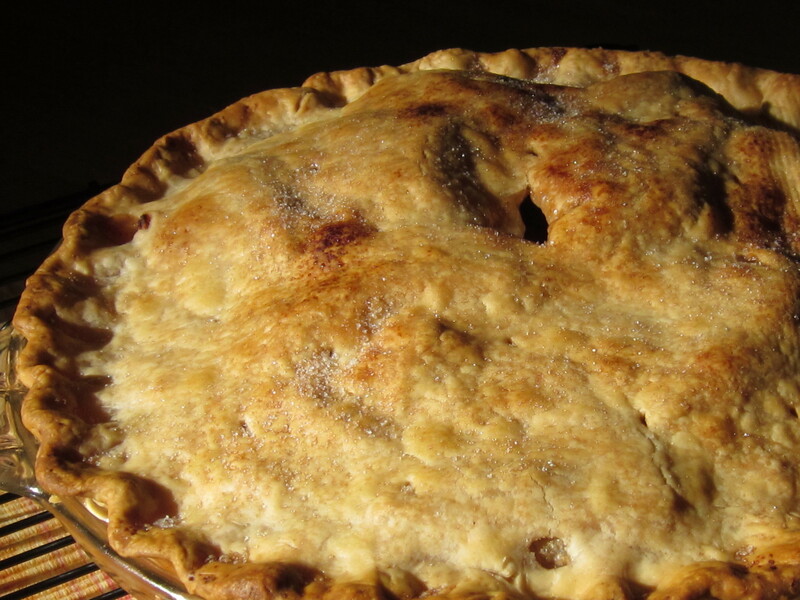 of baking powder to replace the 1 tsp. of baking soda (minus the vinegar). ‘Lo and behold!! My cake was as high, if not a little higher with only 2 tsp. of baking powder versus the 3 tsp. I’ve used all this time! I was pleasantly surprised! 55 mg of sodium per 1/8 tsp. = 440 mg of sodium per 1 tsp. I was using 3 tsps. so…3 x 440 = 1320 mg sodium for a single-layer 9-inch cake! Granted, you don’t eat one entire cake in one sitting but still, that’s a lot of sodium. I broke that down to 220 mg per slice out of 6 generous slices, (remember, it’s only a one layer cake). Versus: 2 x 440 = 880 mg sodium. That’s about 147 mg of sodium per slice using the 6 generous slices example. Now for the fun, money-saving part! The container says there are 383 servings per container. Remember, the servings are 1/8 tsp., so 383 divided by 8 = 47.875 or about 48 tsps. of baking powder per container. If you use 3 tsps. each time, you get 16 single-layer cake uses out of one container. However…if you use 2 tsps. each time, you get to bake 24 single-layer cakes instead of 16 out of the same amount of baking powder from the same container!!! 🙂 Woo-hoo! 8 more cakes before I need to buy another container of baking powder! In times like these, I’ll take that savings! 🙂 LOL Life’s simplest pleasures. 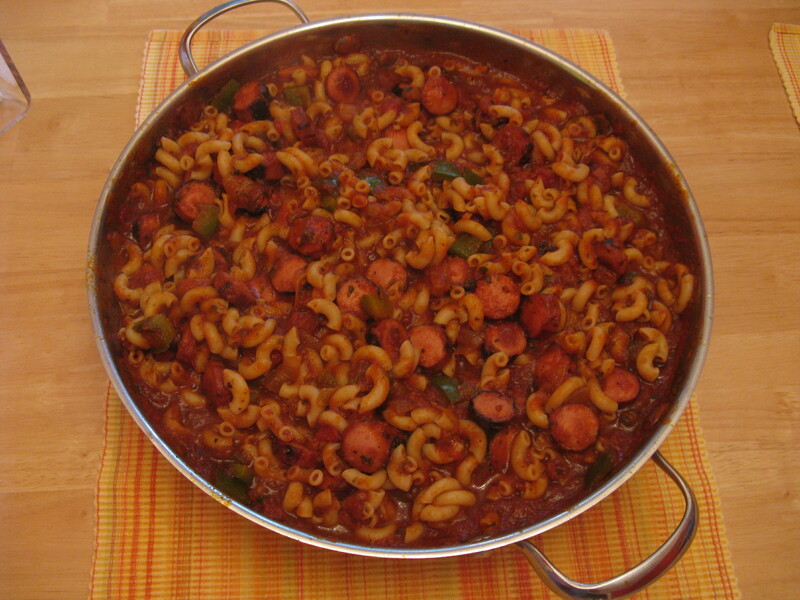 Recipe: Pasta and Hot Dogs? 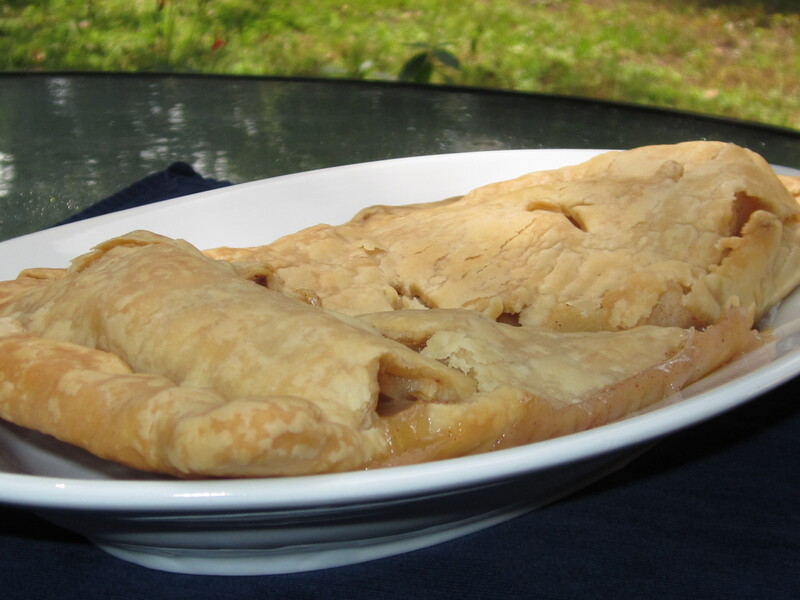 I learned this recipe in my Home Economics cooking class (remember those?) 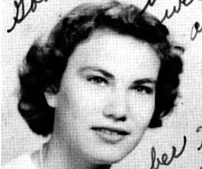 way back in high school. I’ve made one or two adjustments over the years to make it my own. One adjustment is that I serve the grated cheese on the side for myself and my husband because our son is allergic to dairy, (allergic not lactose intolerant, two very different things). I’m also not one for hot dogs but when they’re grilled, I do like them and I buy the “purest” form of them: pure beef, no fillers, little or no preservatives. We always grill extra so we have something for breakfast (my son eats leftover dinners for breakfast all the time), or lunch the next day. The green pepper and the beef hot dogs are strong flavors so they need a sauce to match them. I have found that this dish works better with a richer sauce rather than a marinara. Enjoy! 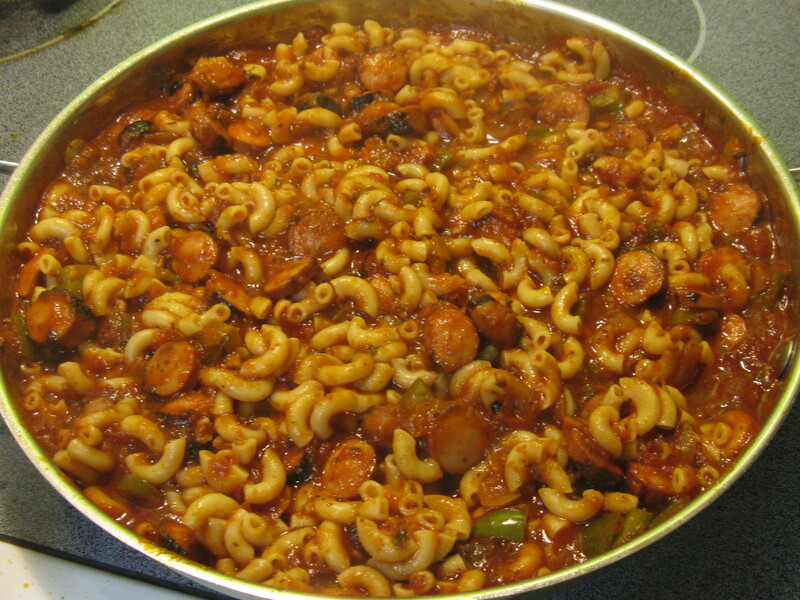 Pasta with caramelized onions, green peppers and hot dogs. Takes about 30 minutes to make. Serves 4-6 people. Onions are translucent and beginning to caramelize! Yum! Fill large pot with cool water for pasta and begin to bring to boil. Chop onion and set aside. Check skillet. If hot enough, swirl olive oil into the skillet, lightly covering the bottom. Add onions and lightly sprinkle with sea salt and ground pepper. 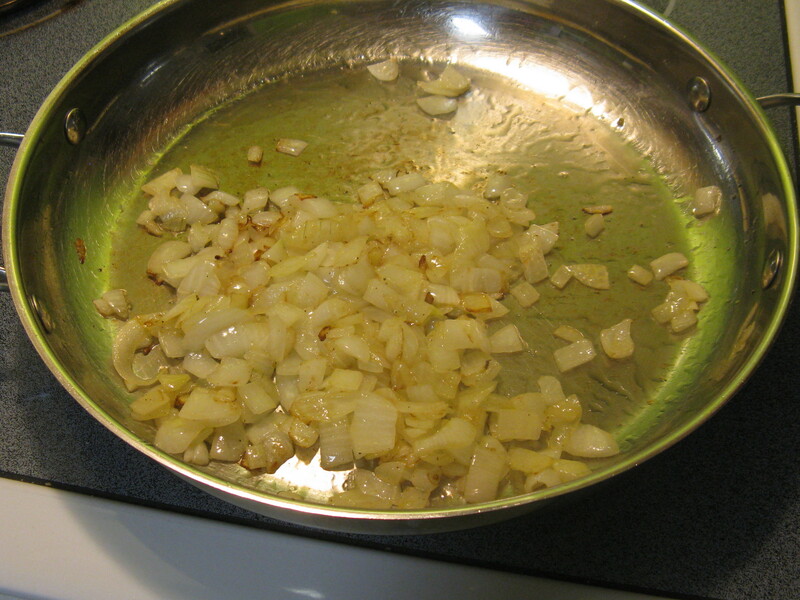 Saute onions until translucent and beginning to caramelize, about 5-10 minutes. Add green peppers, season and stir. Chop green pepper. 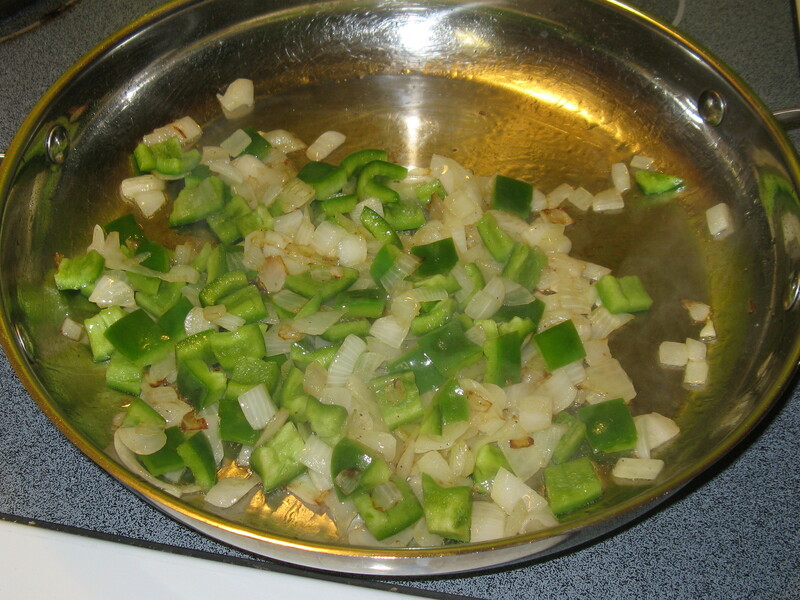 Add green pepper to skillet when onions begin to brown. About this time, the water should be boiling. Pour dried pasta into boiling water, sprinkle with sea salt and a dollop of olive oil (keeps pasta from sticking together) and cook per instructions. 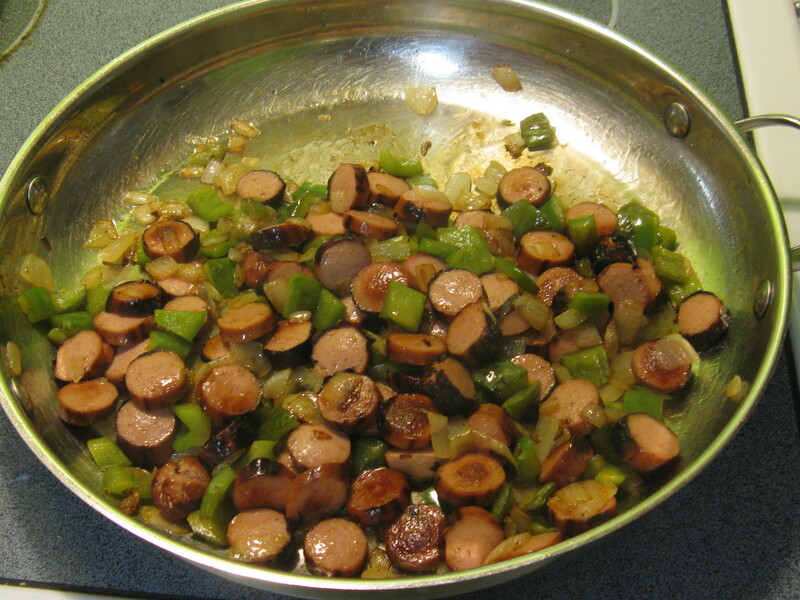 Slice leftover grilled hot dogs and add them to the skillet once the green peppers are beginning to soften. Had a little incident with the olive oil jar, so there's more oil in here than I usually use. Brown the hot dogs on both sides, about 5-7 minutes. 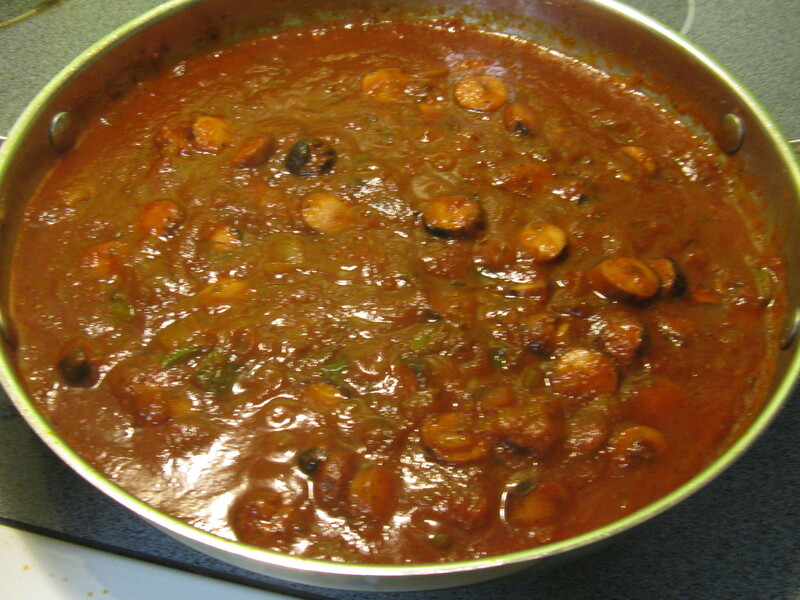 Carefully pour 1-1/2 to 1-3/4 jars of prepared 7-herbed spaghetti sauce into the skillet mixture. Once boiling, lower the heat to 2 or 3 (low) and stir often for 5-7 minutes. Before draining pasta, spoon 1-2 large spoonfuls of pasta water into the skillet mixture. This really does make a difference and helps the sauce stick to the pasta. Drain pasta and add to skillet mixture. Mix thoroughly and simmer for another 2-3 minutes. After adding sauce, bring to boil and lower to simmer. 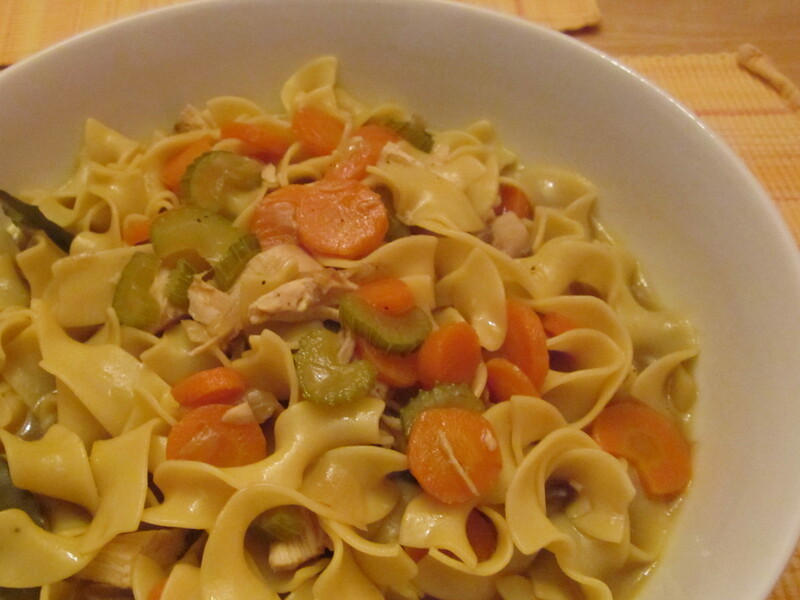 Add cooked pasta and voila! Serving suggestion: Serve with your favorite fresh salad. Enjoy! 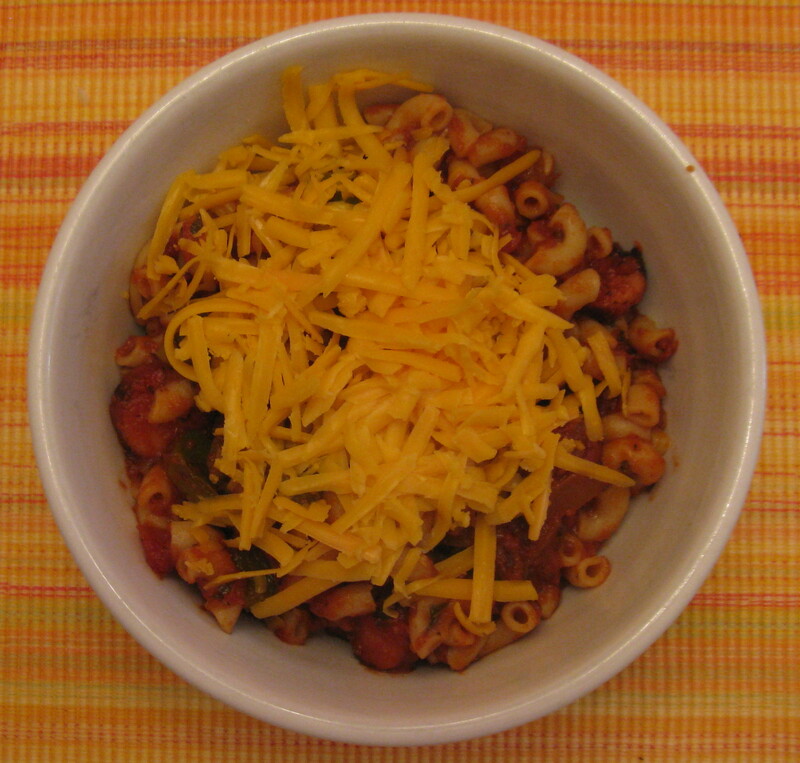 Top with grated cheese for dairy-eaters. Please note: I have a very light hand when it comes to salting our food. I have found sea salt is not only better for you (your body processes it easier than table salt and it provides more minerals, nutrients), but it is more flavorful so you don’t need to use as much. So, when I say sprinkle, I mean tiny sprinkle. You can adjust to your own taste, of course.